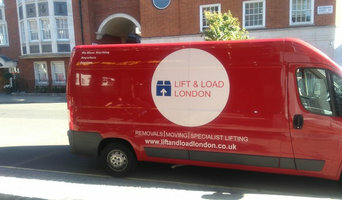 Man and a van Fulham is easy and simple that you can do with a single ask our number. Our organization provides every size of vans and most 1 man with van can also be provided if needed through the customer. Our organization working is flexible in timing we offer services each time during the day to make the moving always easy for that customers who call us to get the help. buzzmove was built to make the moving process as easy as possible for both Movers & Movees alike. For Movers (removal companies), we provide high quality customer leads and an advanced lead filter system, to help you grow your business quickly. For Movees (customers), we use our brainy algorithm & price calculator to match you with trusted Movers around the UK based on your specific needs. Monarch Removals UK are a family run business, based in Essex, and also locally covering Kent, offering you a personal service built on trust and backed at every level by professional and experienced personnel. 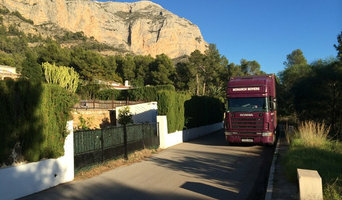 We specialise in house removals both in the UK and across Europe particularly to France and Spain. So whether you’re moving locally or abroad you can count on us to move you professionally and stress free. Monarch Removals UK tailors its UK, European and International removals service to meet each customer's specific needs; we offer a free, no obligation survey by one of our Relocation Surveyors which gives you the chance to discuss your particular needs, look at potential problem areas and devise specific solutions to suit you as an individual, as well as offering practical help, and welcoming reassurance at every level. Even on those unusual moves, house removals or office relocation - Monarch Removals UK will smooth the way, Door-to-Door. Monarch Removals is the NUMBER ONE choice for all local, UK, and European moves. We operate 3 large removal vans and cover all of London, Hertfordshire and Middlesex moving people throughout the region and further including Wales, France, Ireland, Scotland. 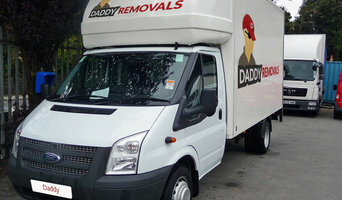 Our vans are either provided with a driver only or a 2 man crew depending on whether the customer orders one or two men.